Kung Fu Tea: Now on Facebook! 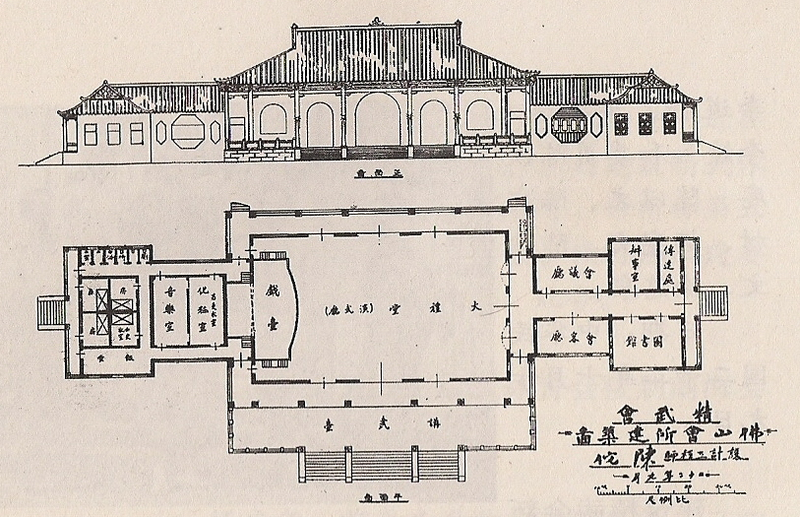 Original plans for the Foshan Jingwu Association building. Only two of the three wings were ever completed. You can now follow Kung Fu Tea on Facebook! I had resisted creating a Facebook page as I felt that a traditional blog was a better fit for my format. As regular readers know most of my posts are short articles, often between five and eight pages. Then you start adding in the historical illustrations, citations, the links…well, you get the picture.